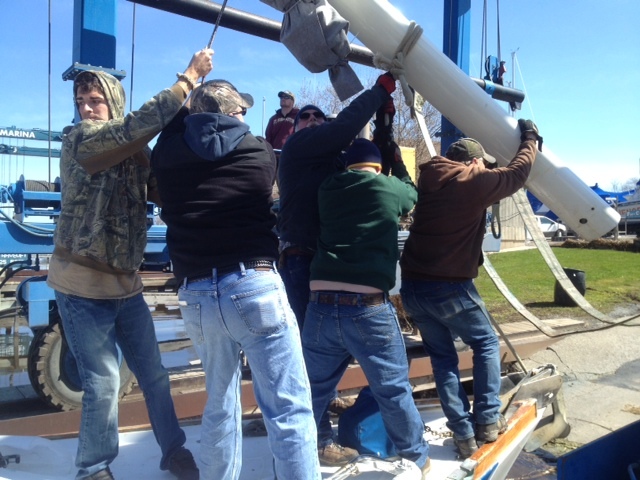 When launching 42 ft sailboat, el Tiburon, it was all hands on deck to get the mast up. 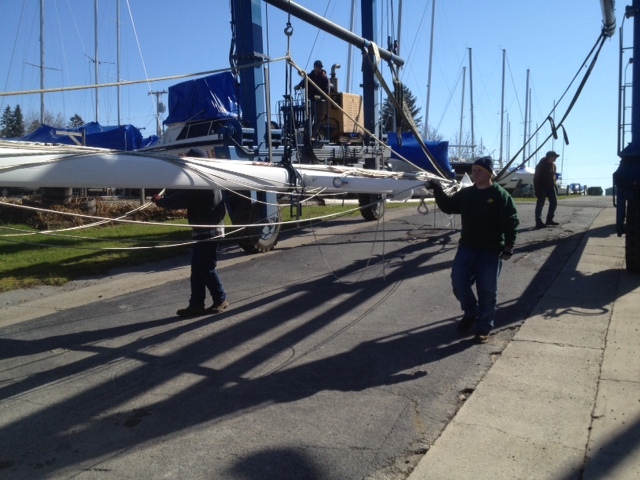 walking the mast down to the boat. 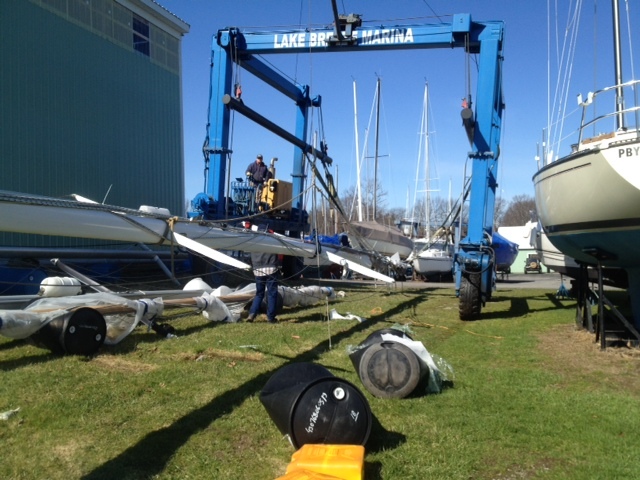 Charter boats ready to go.